Are you a true card game lover, who loves to play, challenge and win card games? Well, if you are nodding in agreement, then here is something that you are not just going to like, but completely drool over. Yes, we are talking about an Indian rummy app that lets you play games on the go and win real cash as well. Yes, you heard it right! Every cash game, gets you real cash in your account. So, if you are just tired of those digital money that just gets added to the website but doesn’t make it to your bank account, then here is the answer you will love. Is there a catch to win to get this cash? Yes, there is and this is what you need to do. If you want to play cash games, the first thing you have to do is create a unique account that can be linked to your bank account. Remember, it is real cash, so you don’t want it to land in some other account right. So, the regular formalities like KYC, Aadhar link, PAN card details will be required. Of course, to get started, you can just link it to your Facebook account or give a valid email id and get started. Most of the rummy apps and websites will show you bonus offers when you join the website. But to use the bonus amount, you will also need to add some cash value. The value can be very small like Rs. 25/- but you will have to make that investment. After that, you can add the bonus amount and start playing cash games. 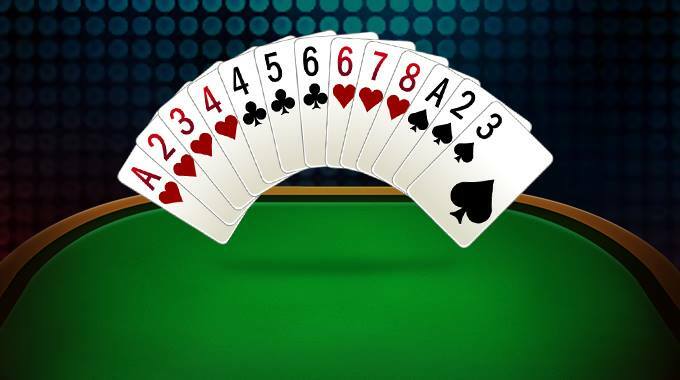 Another thing you should keep in mind is that rummy apps have a certain lock out amount. That amount stays in your account, of course, the remaining winning amount is all yours. So, understand the terms and conditions and then pick a game. How to download the Indian rummy app? Downloading the rummy apps are quite simple. These apps are safe and are available for both Android and iOS. Some rummy apps like RummyCircle is not available on Google Play Store. However, you can download the app from their website. There would be an APK file that will ask permission on your mobile stating ‘allow download from unknown sources’ and you just need to change settings of your phone and let the download proceed. It is an automated and hassle-free process. Some people think that just because it is not there on the Play Store, they are not safe. But these apps are as safe as the website and you can download it confidently and even transact without any stress. Playing Indian rummy on the app, is the best way to win and experience the game. Yes, there are many websites with rummy applications. But which one should you have in your mobile phone? Here is a quick checklist you should keep in mind before you download a rummy app. Check for all these factors when you are about to download the app and start enjoying rummy games. When you are online, rummy games become even more fun. You not only get to play with the best of players, but also enjoy games anytime you want and wherever you want. Winning cash couldn’t have got more convenient than this.